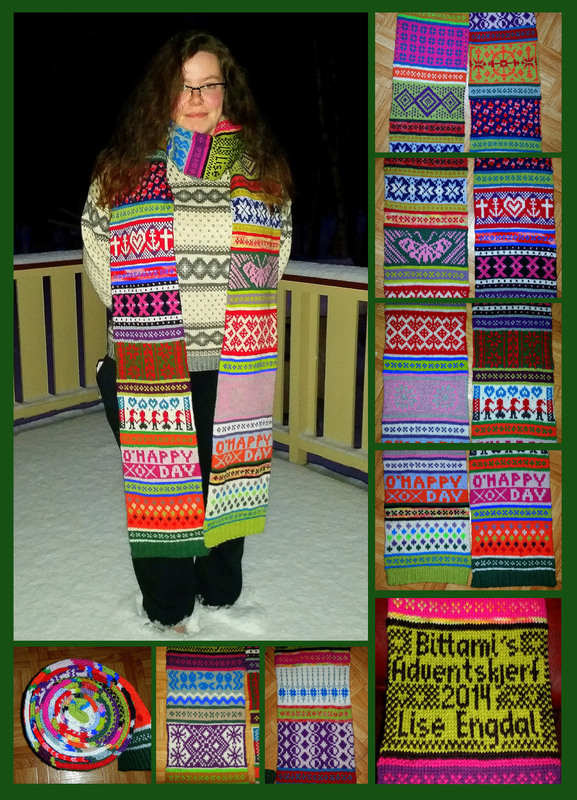 And now the advent scarf KAL from Bittami has come to an end! I blocked and steamed it today and it is a monster of a scarf! Not only is it colourful as all heck, but it's BIG! It measures 3,17m (10,4 feet) and weighs 914g (2 pounds). Wow! 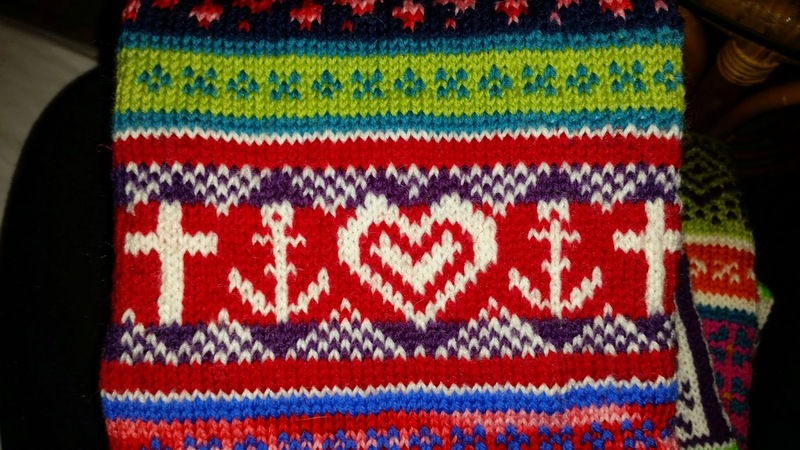 Advent scarf KAL almost over! Phew! I am done with the christmas presents, I am done with the decorations and the cleaning and whatever else this holiday brings. I am even done with Christmas Eve! 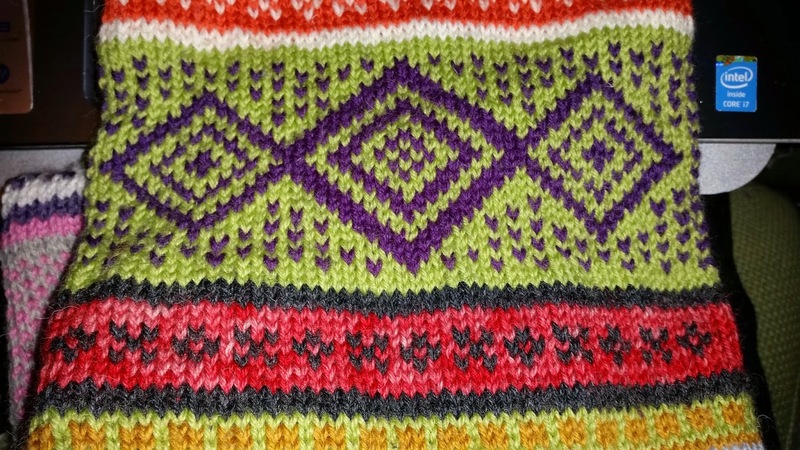 Now that I am more or less free from chores and stress, I can turn to my knitting again. 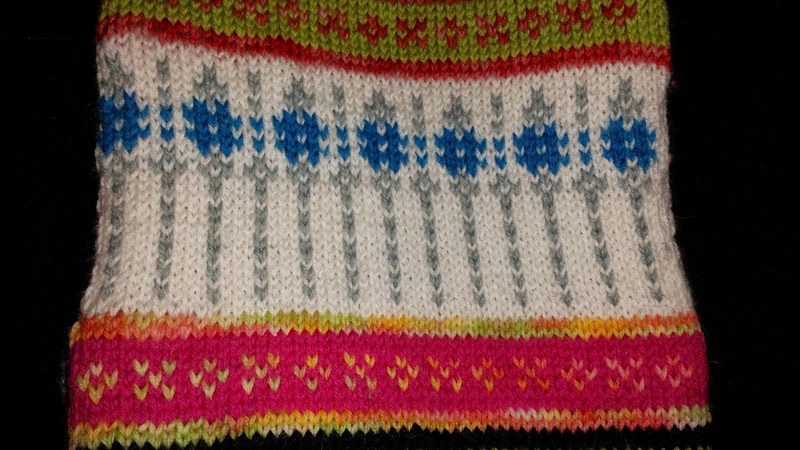 I've yet to start a real project though since I'm trying to get the scarf KAL done. Part 19 comes out tonight and I am ajour. I ran out of green yarn for the last two rounds on part 17, so I had to supply with another green tone I had lying in my scrap bag... It's not really that noticable, luckily...but the flash makes it horribly obvious. You'll just have to wait a little to see part 18. It it finished, but I need to get into the next part before I can get a clear picture of it. 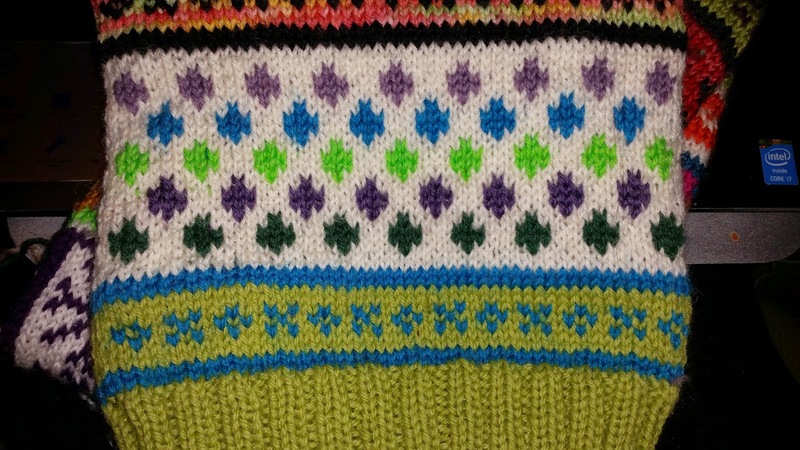 Right now, it's scrunched up, and I did make an error while knitting, so I'll have to fix that with embrodery. I just can't seem to get myself to do anything these days. Both my blog and my Instagram have been pretty quiet lately, even though I've got a handful of finished projects to document. 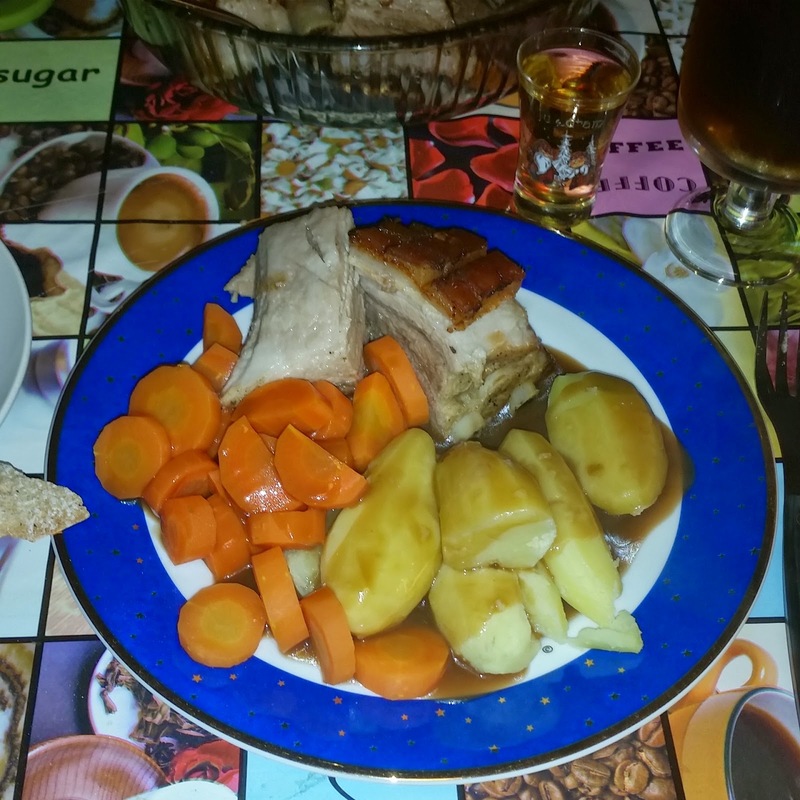 And I can also confirm that the christmas stockings has been sent off. Sadly my sewing machine couldn't handle sewing the linings, so I had to send them off without it... Hopefully the commissioner will be able to get that fixed with someone else... But my part is done, I really love how they turned out! It's almost a shame seeing them off. 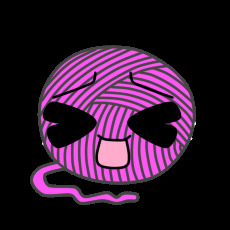 But the KAL I can update you guys on! Part 10 is due today! Actually...any second now. 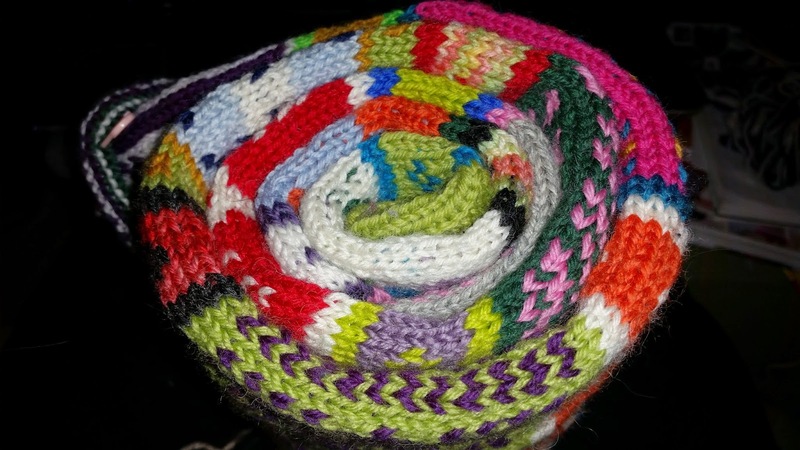 And my scarf is looking pretty colourful at the moment! I do not care which colours comes next. 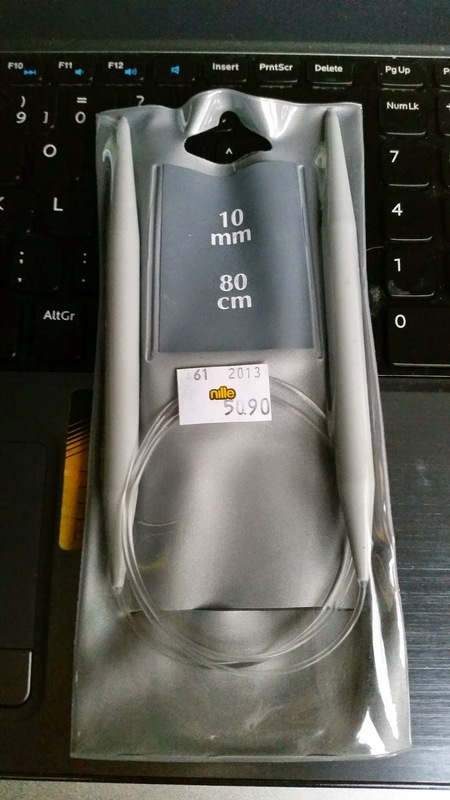 I just pick randomly out of a bag, hoping that the scraps I pull out doesn't colide with eachother or the previous part and also if it will be enough for the whole thing. 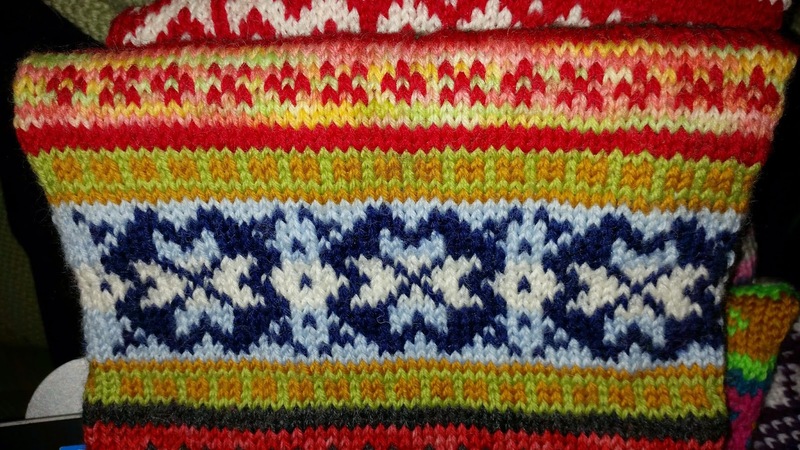 Can't wait to have this scarf finished! I've been working on a little extra design to put in the middle of it. 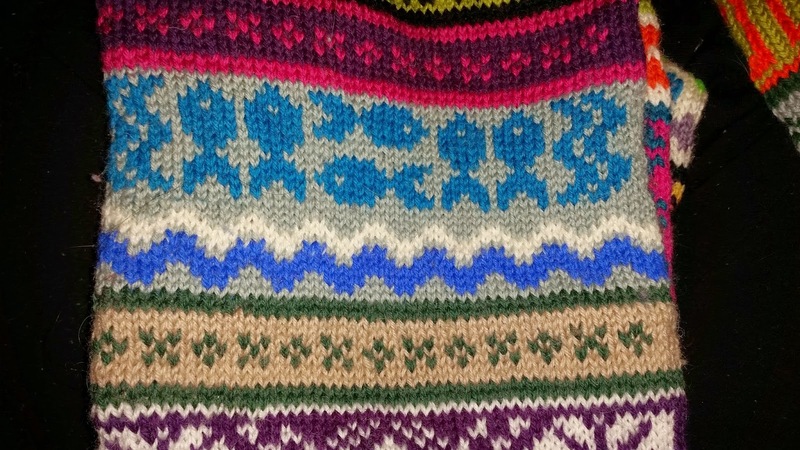 Kid sweaters and mysterious scarfs! Dang, it's in the middle of November already, and I haven't even started on Christmas presents yet! What is happening??? 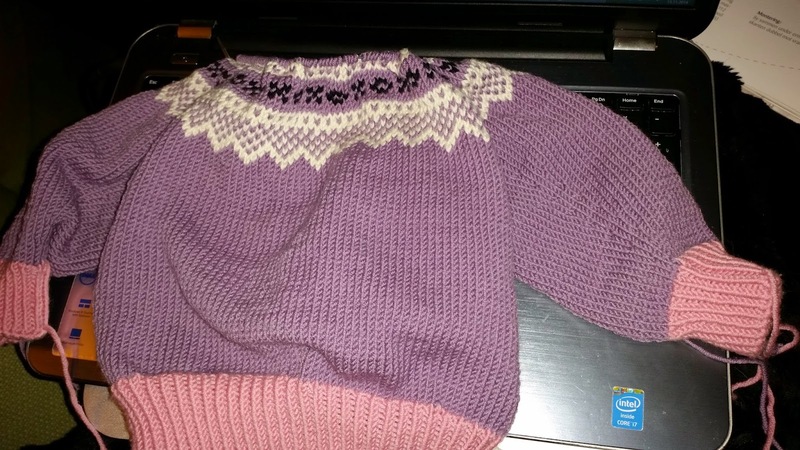 Worst thing is that I'm gonna have a hard time fitting much Christmas present knitting in there too... You see, the danged Advent mystery knit is taking a lot of time, and they release a new piece of the pattern every 2-3 day. 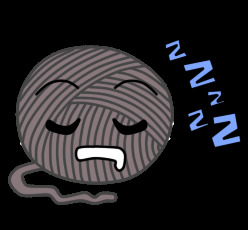 I manage to finish that piece of the pattern before bedtime, so it's not that bad... 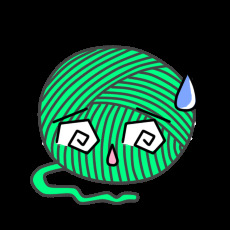 I actually had to dig through my storage and fush out a couple of single skeins cause I didn't trust my scraps to hold. 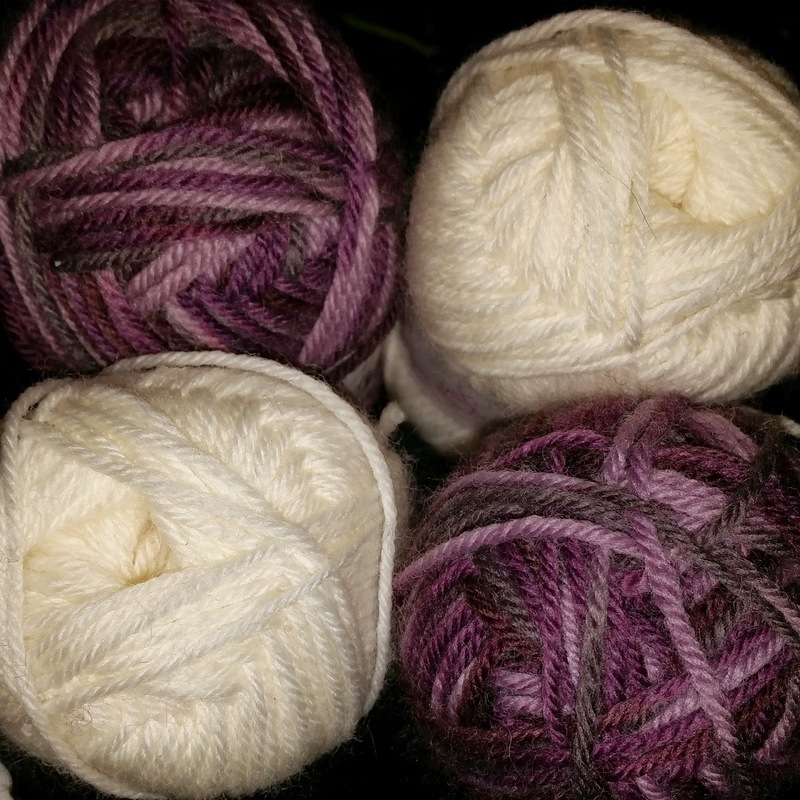 Had a few skeins with a weird dyelot too, so I took those as well. *sigh* I guess I'll get to Christmas presents soon enough... 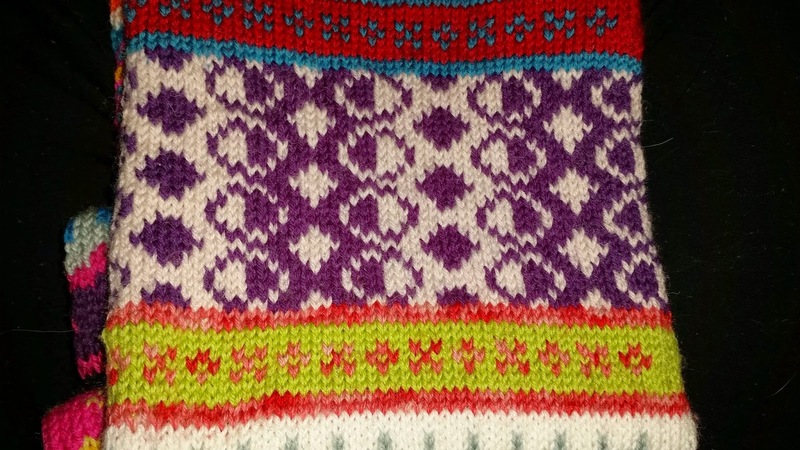 If I hurry up, I might actually manage to finish off the sweater today...before the next scarf piece gets published. 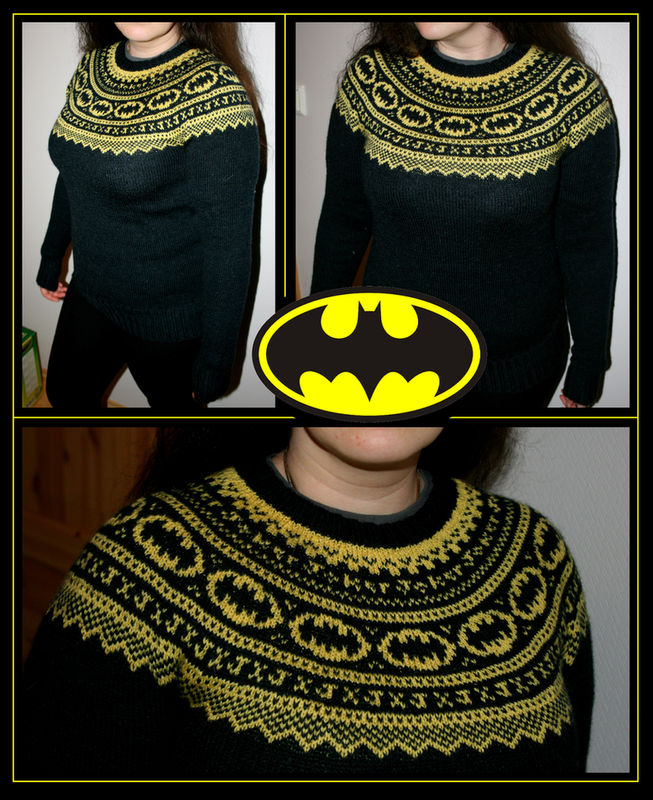 My Batman sweater has been featured on BuzzFeed! That's so awesome! 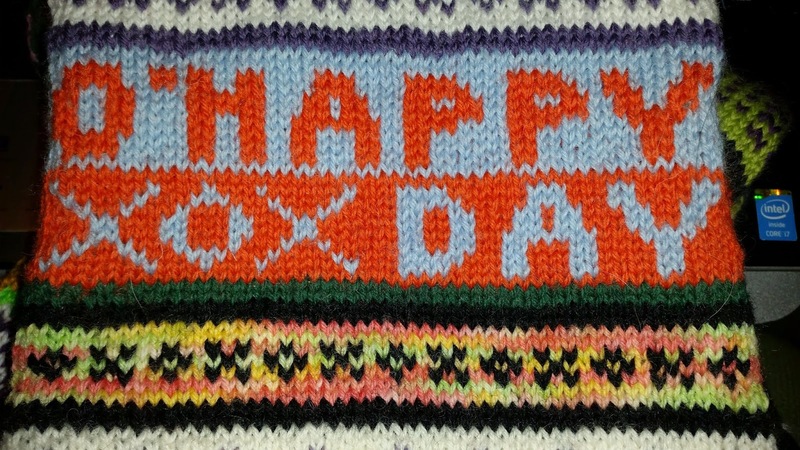 Yesterday was the start of probably the most awesome KAL (knit-a-long) that'll ever exist! 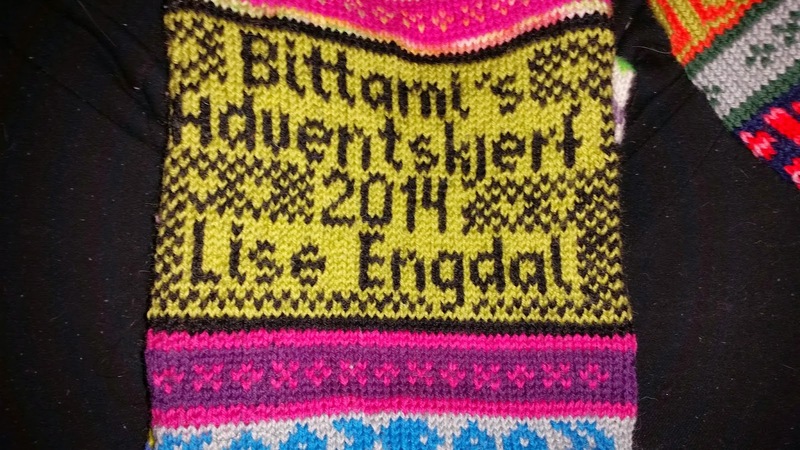 The big advent mystery knit hosted by dearest Bittami through her Facebook page. This is so cool and so awesome, I really don't have any words. 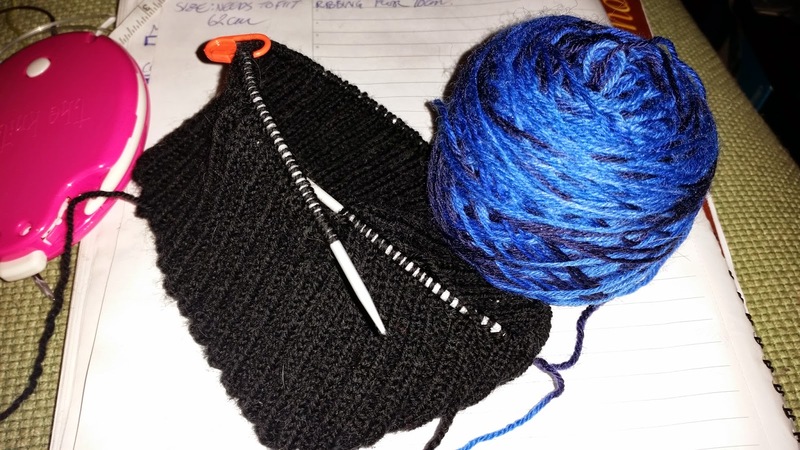 We started off yesterday, but before that, all we knew was the recomended yarn and needle size and the fact that it'll be a looooong scarf. It consists of 20 parts that we will be handed from now until the 19th of december. We were supposed to get the first part at 6pm yesterday, but it was released early, so I had to hurry up with my chores so I could get started too. 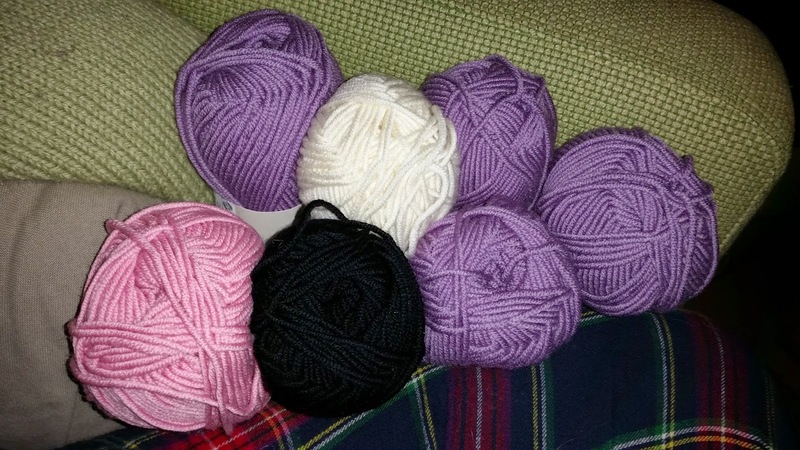 I had used the whole day, digging out scrap yarn and winding it all up into neat yarn cakes. 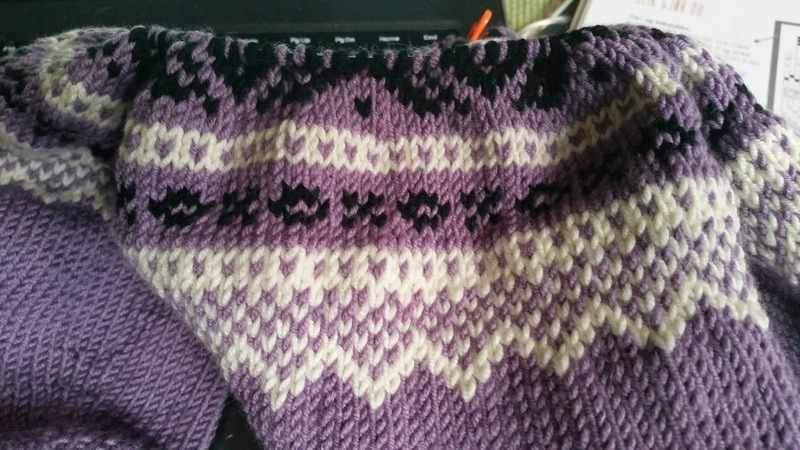 I finished off the first part fairly quickly, and I'm using SO much scrap yarn for this thing! SO MUCH FUN! 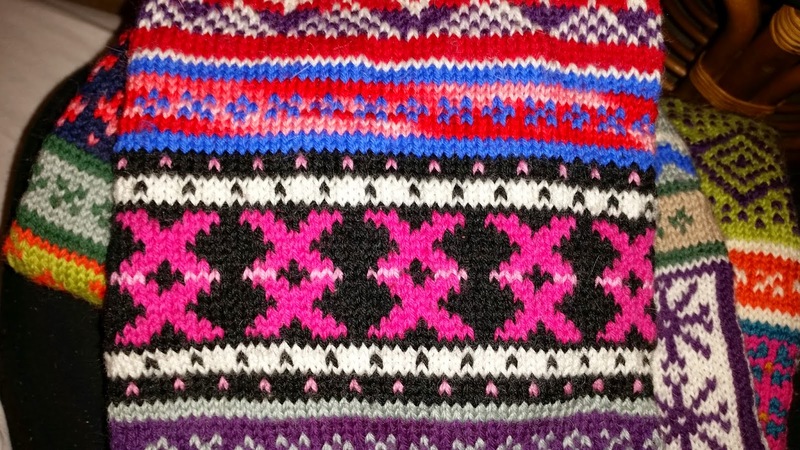 The next part will be released tomorrow, so while I'm waiting, I'm working on a hat for my friend Nina. 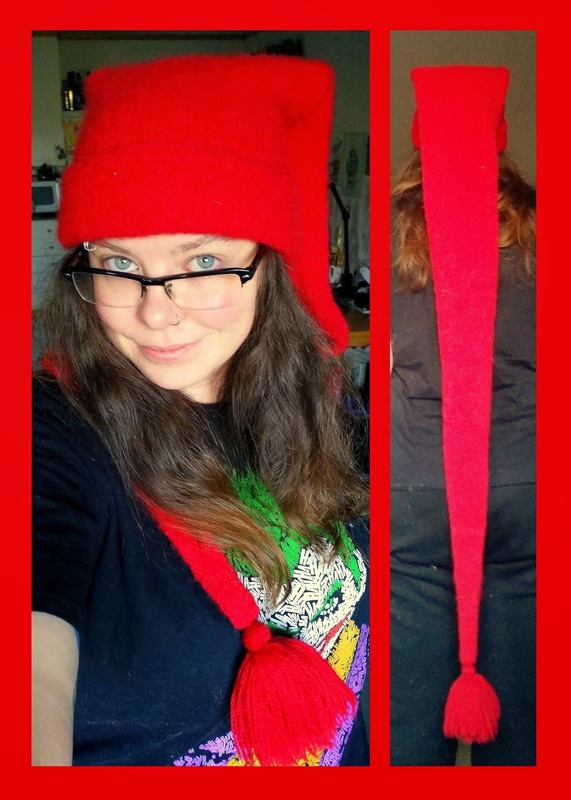 She asked me if I wanted to make one for her, and then she ran off to buy yarn for it. She's all about that blue! 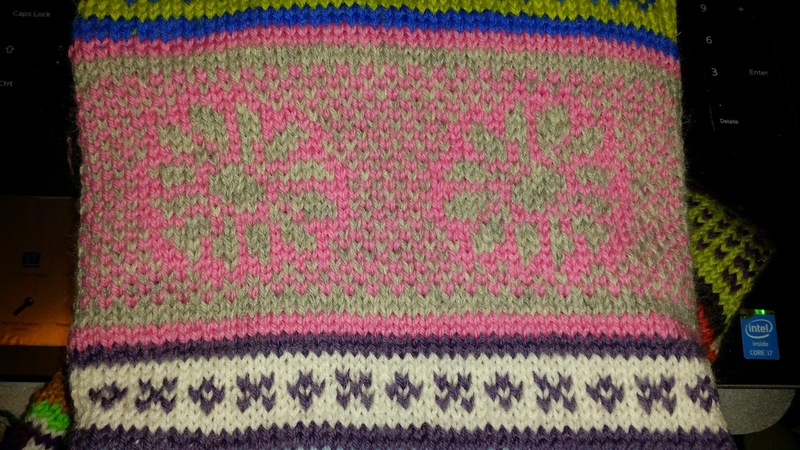 As soon as I'm done with this hat, I'll move on to a sweater for the baby girl for another friend of mine. 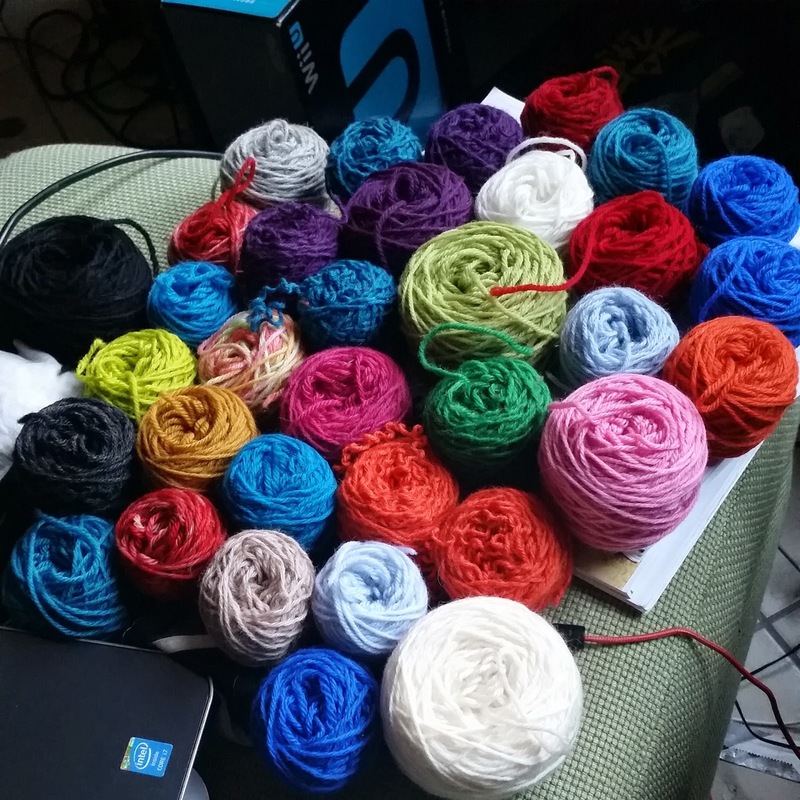 I ordered yarn for it earlier this week and it arrived today! 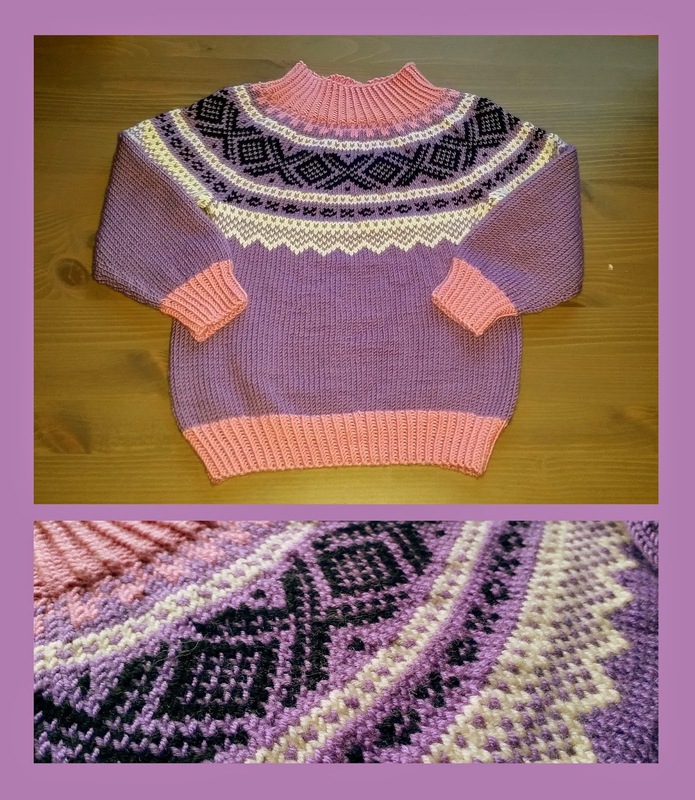 Beautiful Merino! 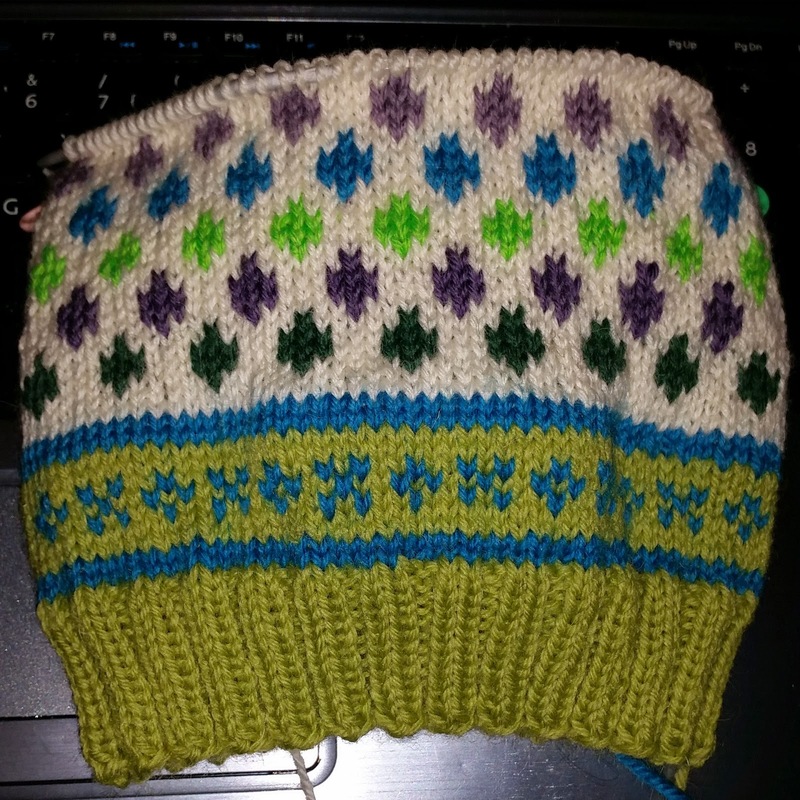 I don't think this hat even made it in as a WIP on my blog... Wow... I'm really slacking now! On the 30th of october, I started a new project. A project I've been wanting to do for several years already and that I've recently talked about on my blog. If you've followed my Instagram, you've probably seen several pictures of it. I am of course talking about the "langnisselue"! For more information about this hat, its meaning and the TV-series it came from, check out my previous blogpost. I'm so happy to finally have this! It has been a childhood dream of mine to have a hat like this. 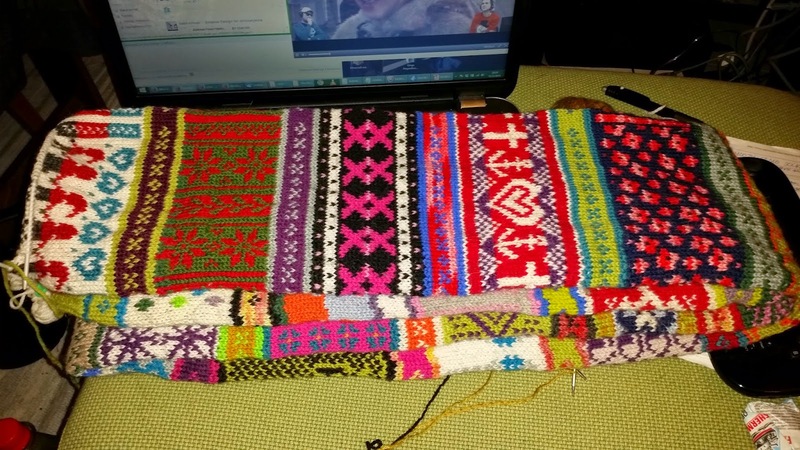 I've been meaning to make it since my friend Bale shared the pattern of it...last year...or the year before that...or before that...I can't remember. But I managed to loose it in my ocean of pictures and files and several laptops and three external harddrives and whatnot. I had to send her a message not too long ago, asking if she still had the pattern, cause I could not for the life of me dig it back up from the black hole it must have fallen into. 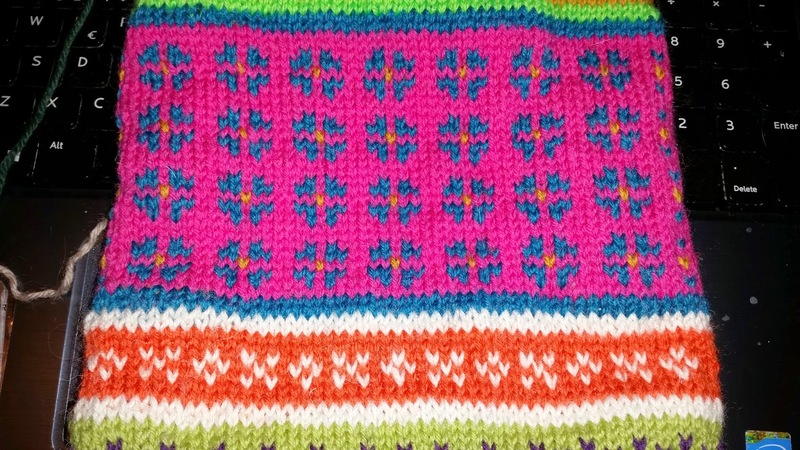 She came through and presented me with the pattern yet again (THANK YOOOOU!!!). 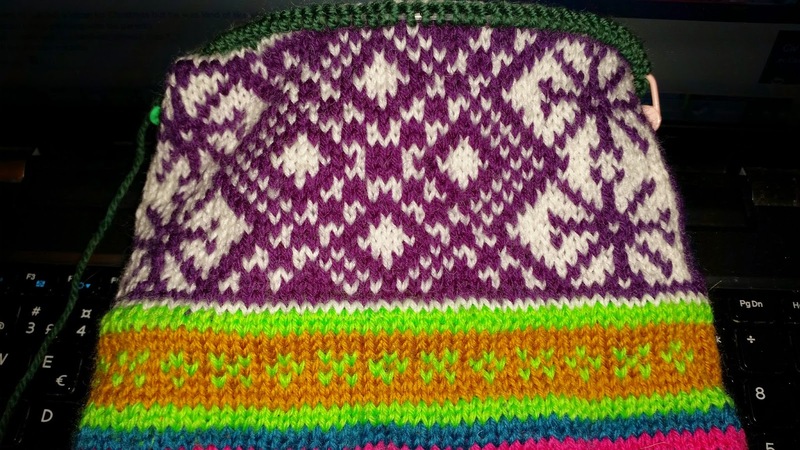 So after finishing up my fair-isle socks, I had to start this hat. No questions asked! I ended up frogging half of it once cause I did't like lenght of it, so I added two extra rounds inbetween each decrease round. 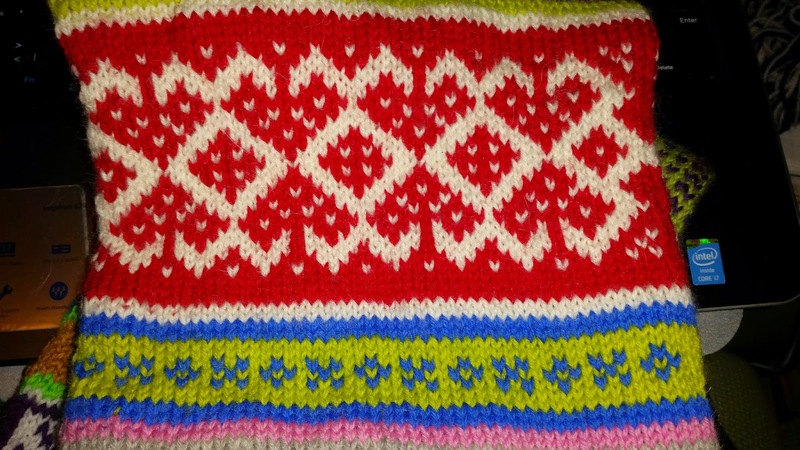 I also ended up stopping when I had 10 stitches left on my needles instead of 4 like the pattern said. 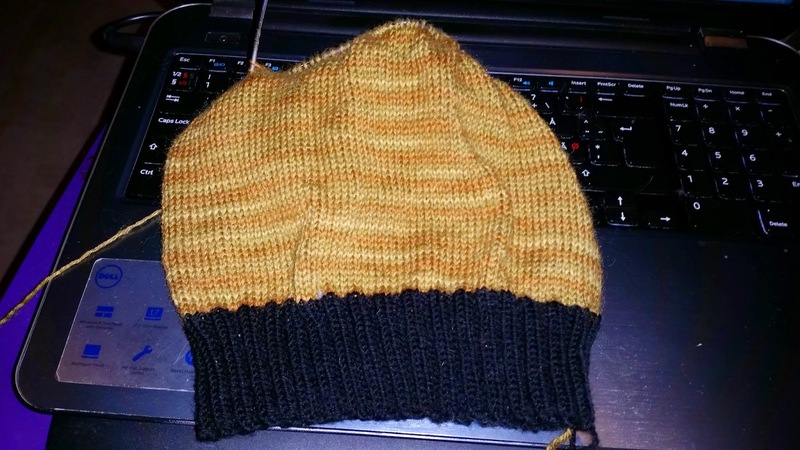 Not too pleased with the stubby end before the tassle, but it would have looked horrible thin and lanky if I would have continued. Threw it into the washing machine and felted it one and a half time on a slow and short 30'C washing program and it came out almost perfect. It's a bit too small, but that's not a problem. A little useage and it'll be just perfect. I actually refuse to take it off my head! But it's so WARM! Love it! And it's so loooong! NOW! To make the one Amalie uses in the same TV-show... To be continued! 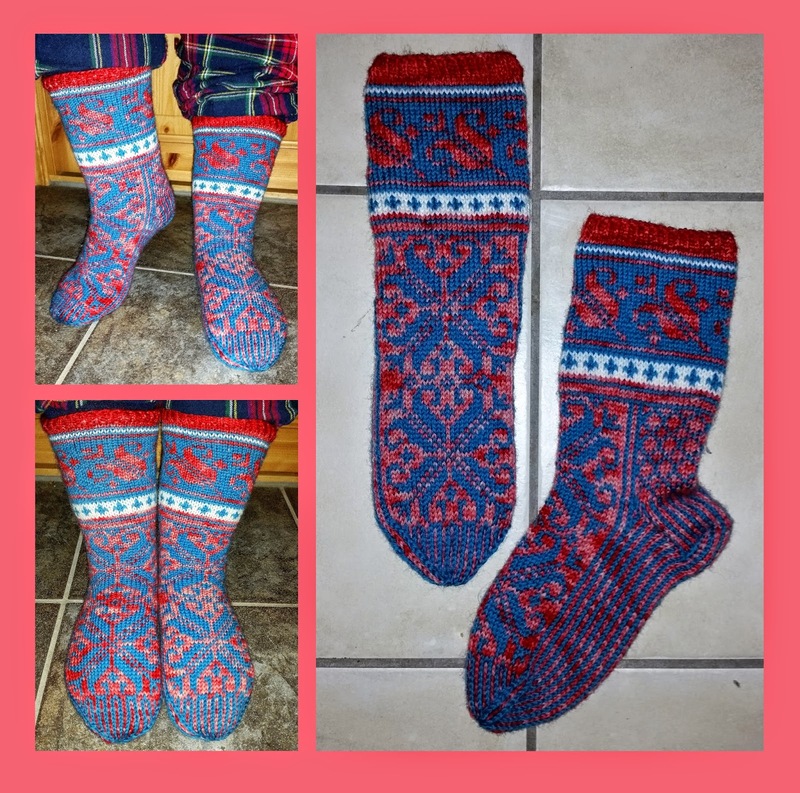 Welp, I totally forgot to blog the, but the fair-isle socks with Kool-Aid yarn are now finished! Really not pleased with them, they gave me way too much grief. 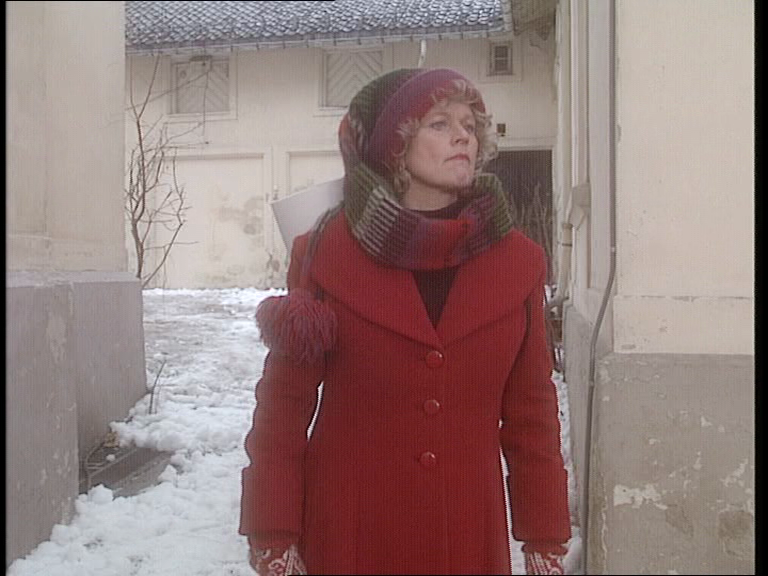 But they're warm, and they're for me, so I can't be bothered to complain too much or frog them. I've already planned my next pair of socks actually! 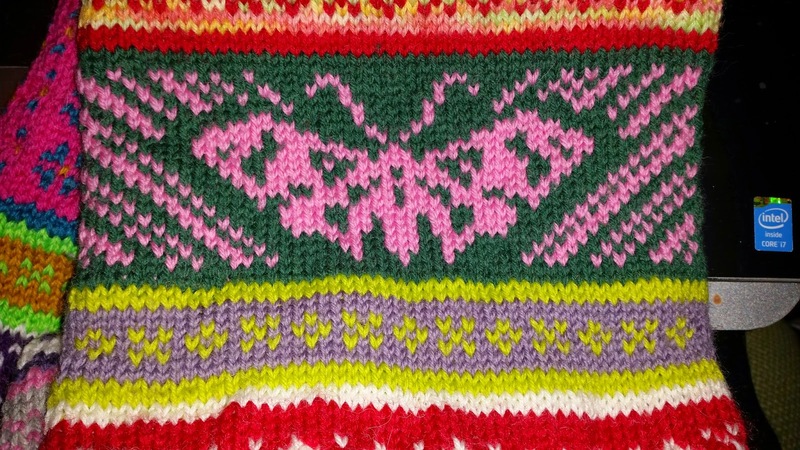 Some time ago, I bought this super pretty pattern, and I dug out yarn for them last night! Can't wait! 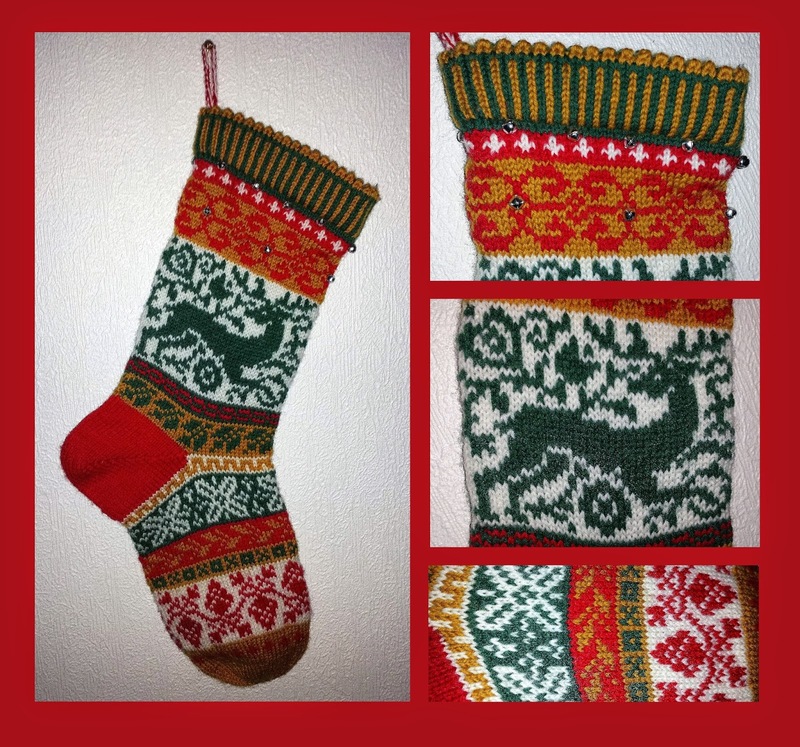 But it'll just have to... Gotta finish up these Christmas Stockings before I'll do more ego knitting... 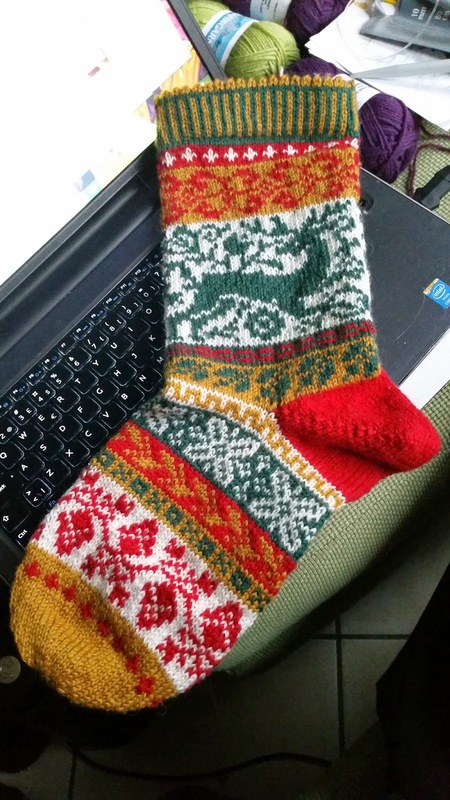 Speaking of Christmas Stockings, I've finally reached the heel, so it'll be finished soon enough! 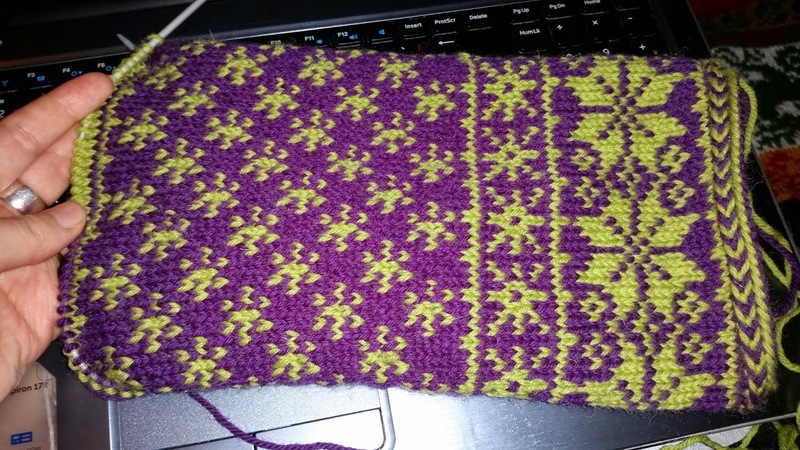 So far, the charts have worked perfectly with the pattern for the other stocking. Not really Christmassy, but I love how it turns out anyway! 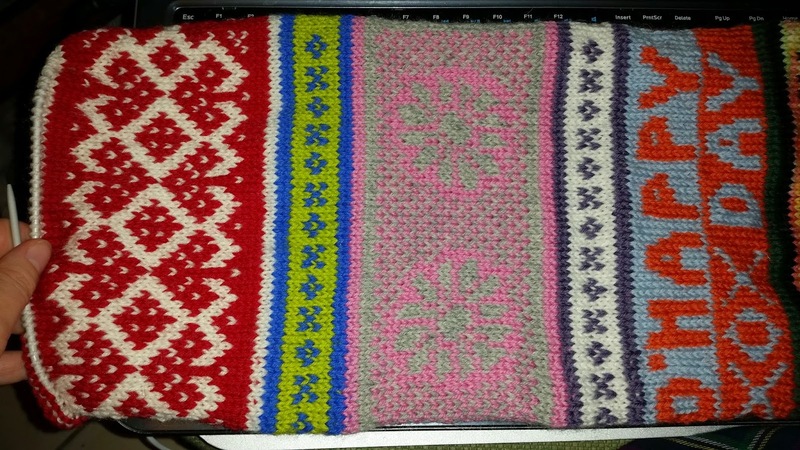 I did finish the knitting part of Melissa's Christmas Stocking a few days ago though. I've been lazy with it, but it's more or less done...for now. 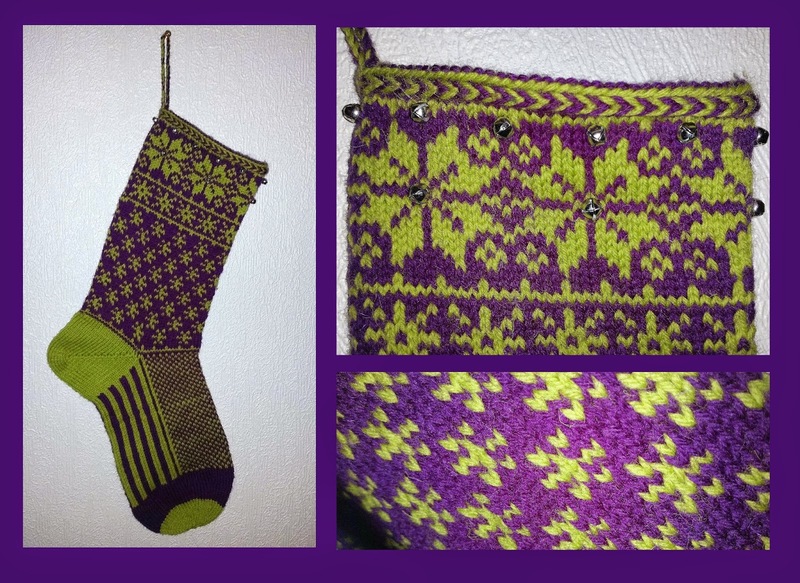 Both of the stockings will be lined with fabric and have bells all over for extra Christmas spirit an joy! 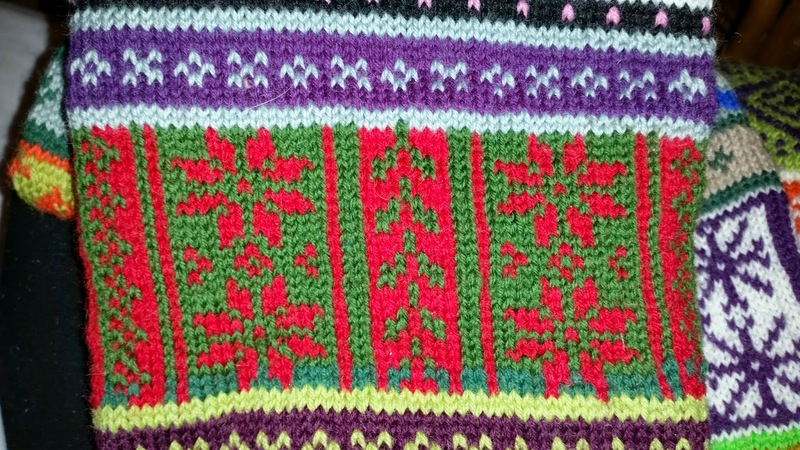 I really can't wait to see them finished, but right now, I can't be bothered... Good thing there's still 2 months until Christmas! Or atleast one month (or something like that) until I've got to ship them. Shouldn't be a problem. 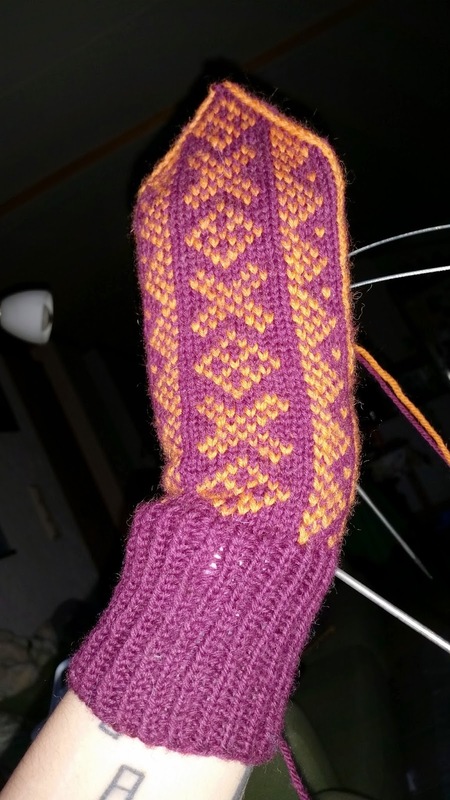 On the 14th of october, I frogged and restarted the Setesdal's mitten I started on back in august. 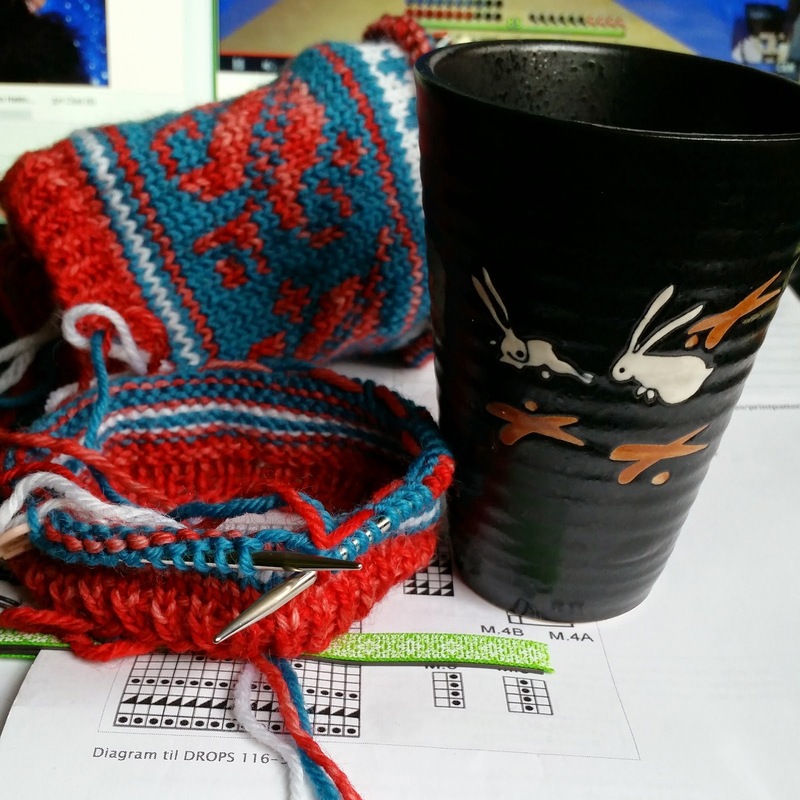 14th of october is the first day of winter according to the runic calendar, and it's marked with a mitten, so just about all of yarnster Norway was knitting mittens on that day. 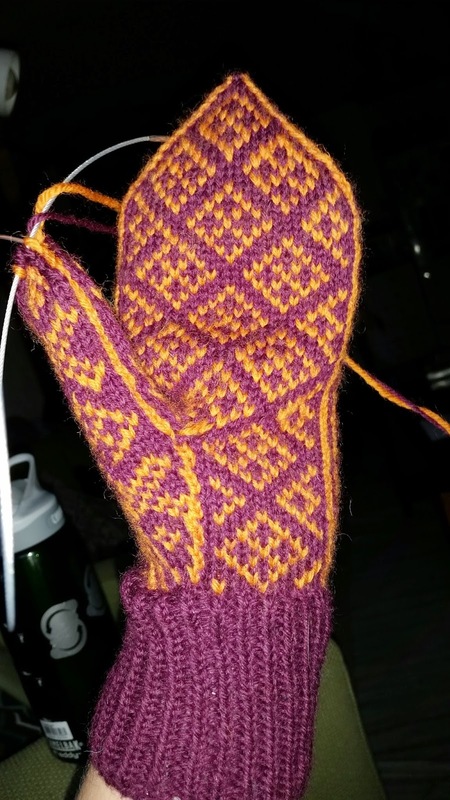 I'm still not 100% pleased with this first mitten...expecially not the thumb (I will most likely be redoing that thing at some point cause it is just horrible). I decided to finally use the first Kool Aid dyed yarn I've done! 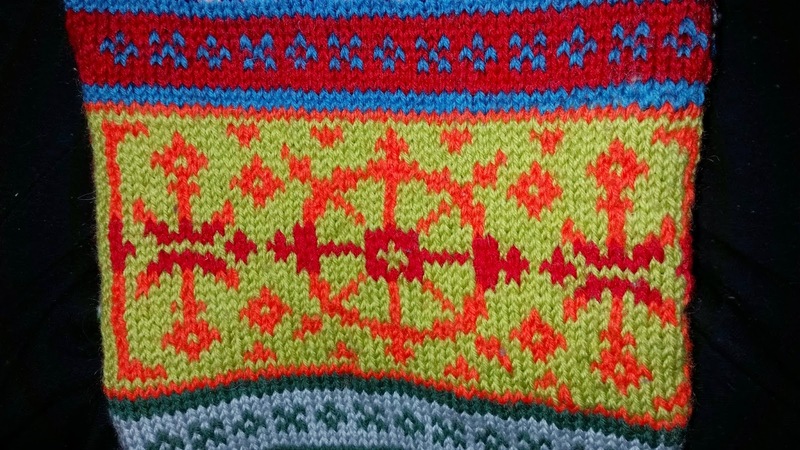 It looks fantastic with the petrol yarn. The white is just some scraps I had lying around. I am taking it slow however... My right arm ain't too pleased with my crazed Minecraft gaming that has been happening lately... 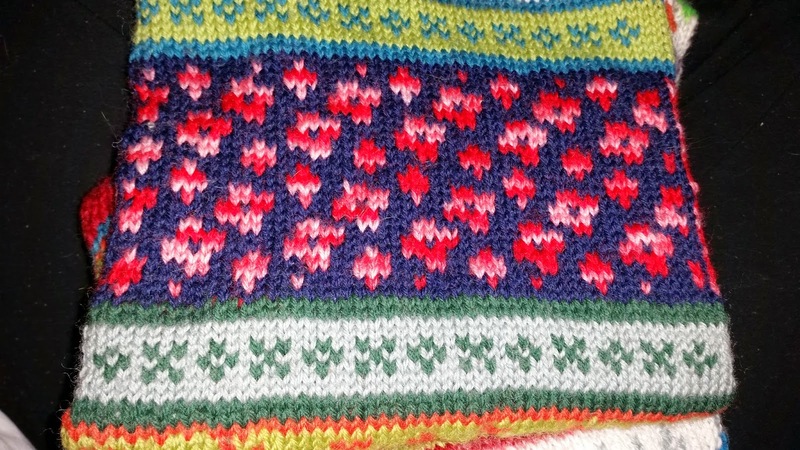 So knitting on top doesn't make it any better to put it that way.